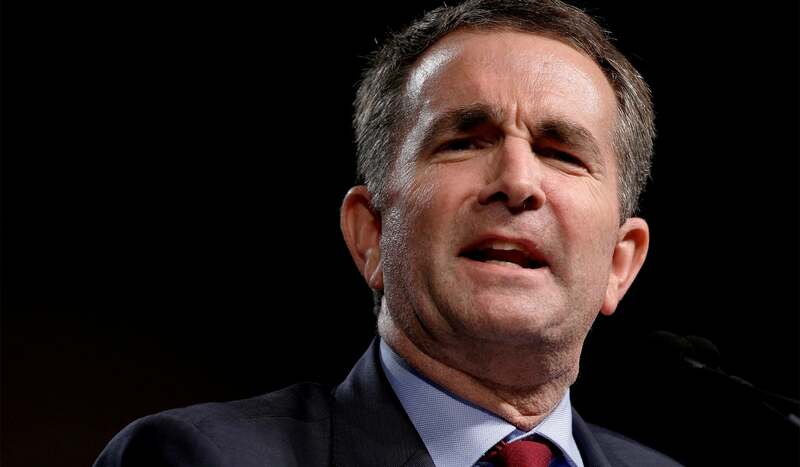 This morning Governor Northam took a shocking step by defending a democrat breaking open restrictions on abortion. Northam attempted to explain this drastic bill that would legalize abortion up to the point of birth in certain cases. However, his words took this extreme policy a step further. He seemingly began advocating for allowing full-term infants to die with parental and physician consent. This was in response to a direct question from the interviewer. She asked Northam to respond to a committee hearing held earlier this week. During the hearing, Delegate Kathy Tran (D) spoke on her bill that would lift the legal restriction against third trimester abortions, even as a mother is giving birth. Northam was asked about Tran’s bill and given the opportunity to explain his comments. But what he said went beyond the text of the bill. Reporters quickly latched on to Northam’s words. “Northam is either unaware of the specifics of the bill, or he’s lying about them. Tran’s legislation explicitly removes the current requirement that three physicians agree that a woman is in need of a late-term abortion. The new bill would require only the consent of the mother and of the physician performing the abortion” National Review reported. However, what Northam said next ignited the fiercest backlash of all. Ironically, Northam thought he was performing damage control to reduce the already fiery conservative outrage. But soon, Republicans across the Commonwealth, then across the country began voicing their shock. Some Republicans used the situation to highlight their Primary opponents’ weak pro-life records. Paul Milde, a Republican candidate running to replace Delegate Bob Thomas (R), said these events highlight the need for more Republicans in office but that Thomas isn’t one of them. “Unfortunately, my opponent has proven he can’t be trusted to protect life. He’s already voted with the Democrats’ agenda to send 2.6 million taxpayer dollars to Planned Parenthood” Milde explained. Thomas also responded to Tran’s bill, stating “this is not the Virginia I know”. The events were quick to pick up national coverage, with Republicans across the country responding to the viral events. Even U.S. Senator Ben Sasse of Nebraska weighed in, with the harshest words of all. This story has been modified as more information has become available. Republicans Respond to Northam's Extreme Comments: "Heartbreaking"
What a horrific disregard for the life of these precious children created in the image of God, many of whom are created to fulfill callings and destinies of greatness! It is nothing less than government-sanctioned sacrifices to Molech, and we know what the penalty for that sin is! If this travesty of a bill passes, I no longer want to live in Virginia, for it will be cursed. We absolutely cannot and must not let this state go the way of New York. Even the thought of this is sicking . As a doctor, Ralph Northam took an oath to do all he can to save a life and now, he wants to kill a baby after birth. That is murder and any doctor who supports such actions should be charged with murder. Ralph Northam has bought nothing but disgrace to Virginia by even supporting a bill like this. Democrat party will be known as the party of murder. Killing innocent little babies. Hitler may be dead but his ideas live on in the democrat party. And his cowered said with no emotion. What a sick world(at least Virginia) we live in. What’s more disturbing is that the governor was a doctor in Pediatric Neurology. Just watching dogs, cats or even chickens … How they protect their new born babies. We can’t get closer or touch their babies. Why human want to kill their own babies? Worse than animals! Kathy Tran and all people follow your bill, let Go To HELL! God, forgive them for they do not know what they are doing. It is our (we Christians) fault since we can’t blame people who do not have a personal relationship and know God, the Bible nor the truth.